Mobile World Congress has finally arrived and with that a lot of smartphones and the first company to launch their next flagship smartphone was Sony with their Sony Xperia Z2. Judging from the specs on this flagship smartphone Sony have improved anything that the phone was lacking and is confident saying that Sony Xperia Z2 will be the best selling smartphone this year. 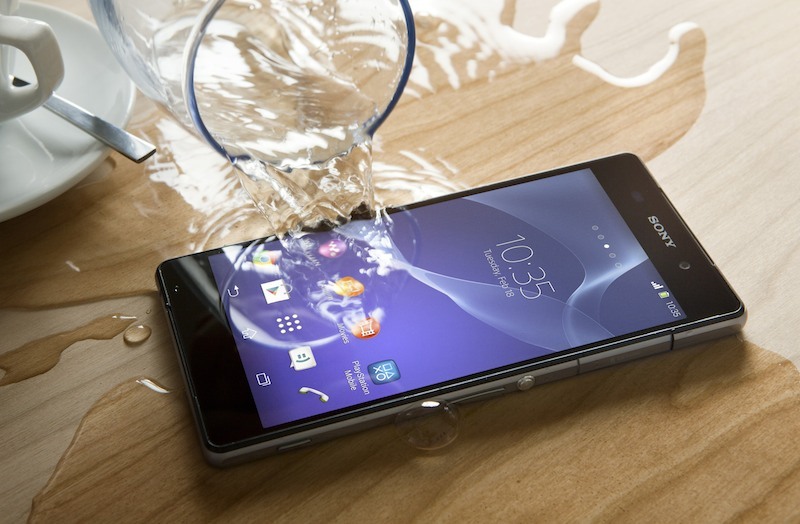 The Sony Xperia Z2 comes with a 5.2-inch display supporting a resolution of 1920 x 1080 which is an improved screen size from Xperia Z1 that has a 5-inch screen, but the image technology on the Xperia Z2 has been changed because the Sony Xperia Z1 was not good when it comes to viewing angles and with dubbed Live Colour LED technology on the Xperia Z2 the screen will have good viewing angles now. The processor and RAM have also been improved as the Xperia Z2 is equipped with Qualcomm Snapdragon 801 processor LTE supported, clocked at 2.3GHz and 3GB of RAM, the Snapdragon 801 is said to be slightly faster than the Snapdragon 800. The speakers have also been improved and Sony has added new stereo speakers to the Xperia Z2 with Sony S-Forcefront surround sound technology, so we can expect better and loud sound quality from the smartphone as the Xperia Z1 wasn’t loud enough. The camera and the battery have also been improved, but camera in terms of software. Sony Xperia Z2 carriers the same 20.7MP camera found on the Xperia Z1 but now it can record in 4k resolution because of the new processor and increased RAM, you can also shoot a video in 120FPS and choose which part you want to be in slow-motion as well as add effects to the video in real time. The Xperia Z2 will have a 3200mAh battery and even though it’s bigger in size and is packing a larger battery than the Xperia Z1 it’s still thinner. The Xperia Z2 will be released next month in March and will be running the latest version of Android Kitkat 4.4.2, there is no news on the pricing of the phone though.